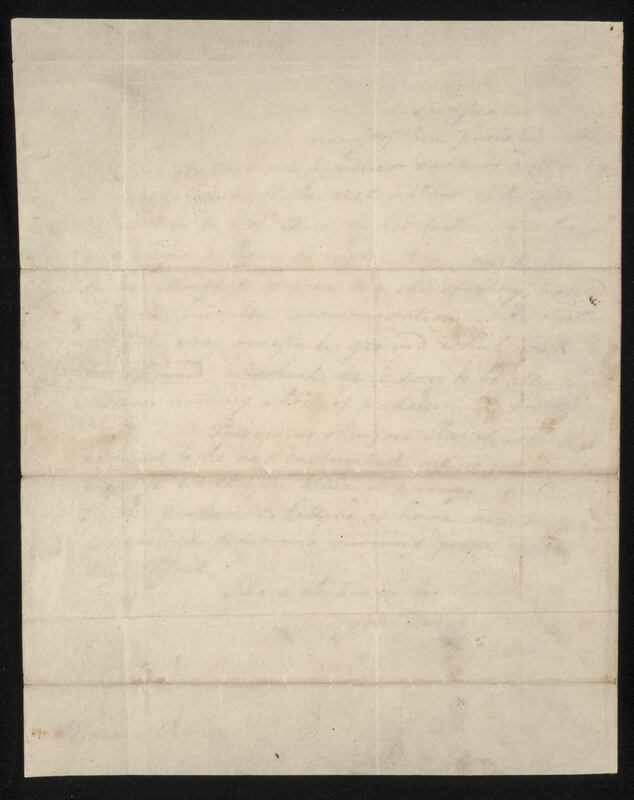 I have communicated to General Hamilton the letter you did me the honor to write me of this date. The expectations now disclosed as on the part of Col. Burr appear to him to have greatly changed and extended the original ground of inquiry, and instead of presenting a particular and definite case for explaination, seem to aim at nothing less that an inquisition into his most confidential as well as other conversations through the whole period of his acquaintance with Col. Burr. 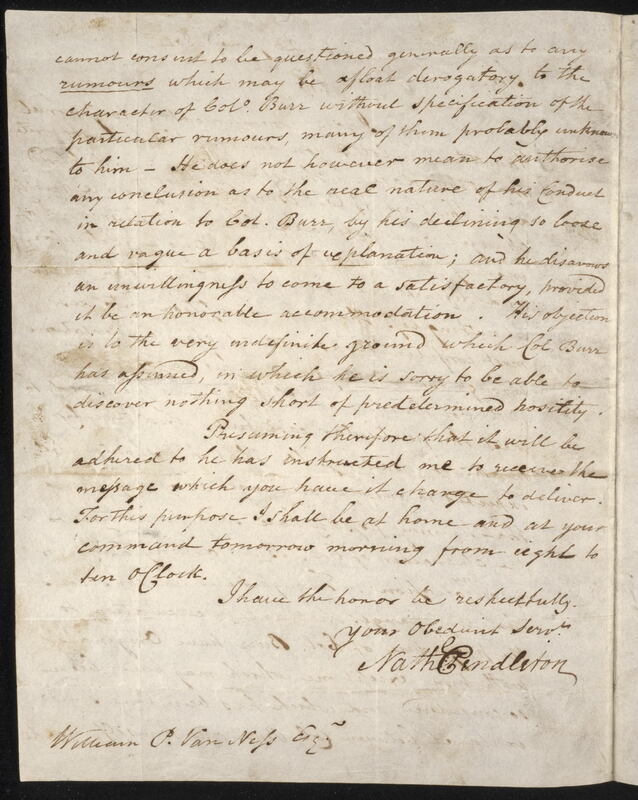 While he was prepared to meet the particular case fully and fairly, he thinks it inadmissable that he should be expected to answer at large as to anything that he may possibly have said in relation to the character of Col. Burr at any time or upon any occasion. Though he is not conscious that any charges that are in circulation to the prejudice of Col. Burr have originated with him, except one which may have been so considered and which has been long since explained between Col. Burr and himself, yet he can not consent to be questioned generally as to any rumours which may be afloat derogatory to the character of Coll. Burr without specification of the particular rumours, many of them probably unknown to him. 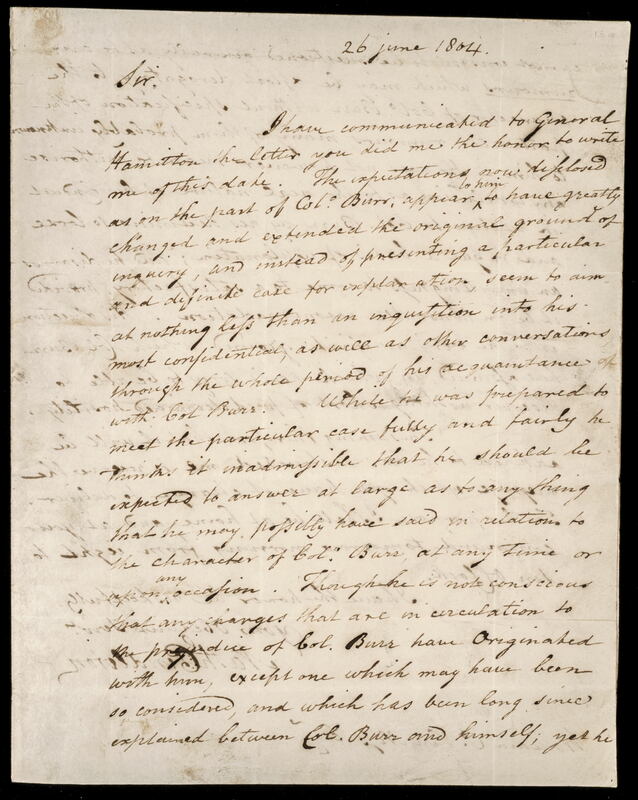 He does not, however, mean to authorize any conclusion as to the real nature of his conduct in relation to Col. Burr, by his declining so loose and vague a basis of explaination: and he disavows an unwillingness to come to a satisfactory, provided it be an honorable, accommodation. His objection is to the very indefinite ground which Col.Burr has assumed, in which he is sorry to be able to discover nothing short of predetermined hostility. Presuming, therefore, that it will be adhered to, he has instructed me to recieve the message which you have in charge to deliver. For this purpose I shall be at home and at your command tomorrow morning from eight to ten o’clock.